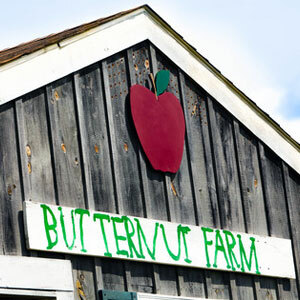 The wonderful Muster Field Farm is a farm that has a lot of historical value in the tiny town of Sutton, New Hampshire. The farm was founded as the Harvey Homestead in 1772 by Matthew Harvey. The original house that was built had burnt down in 1787. The current house that is on the property was built shortly after, but has expanded since it was built. The new house was used as a tavern for the locals to drink at, the first post office and first library in Sutton, and a home for the descendants of the Harveys. In total, eight generations of Harvey descendants lived on the farm and added to it. 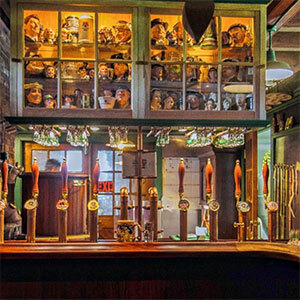 Canterbury Aleworks is a small brewery established in 2012. Located in Canterbury, New Hampshire, the brewery is run by Steve Allman, with help from his family. Please excuse my appearance, I’ve been slaughtering chickens all morning” Ralph Rathjen explains. His jeans are covered in dirt, dried blood, and a few stray chicken feathers. Ralph Rathjen, owner of KREBS Farm, walks around his property with his dog Holly, a black-lab mix who, a rescue dog, trails along behind him. “I always get phone calls asking if Mr. Krebs is around,” Ralph laughs, “but Mr. Krebs doesn’t exist. That’s not my name.” He explains that KREBS is actually the initials of all his family members: his wife Kristen, Ralph, and his children Elizabeth, Ben and Sophie. 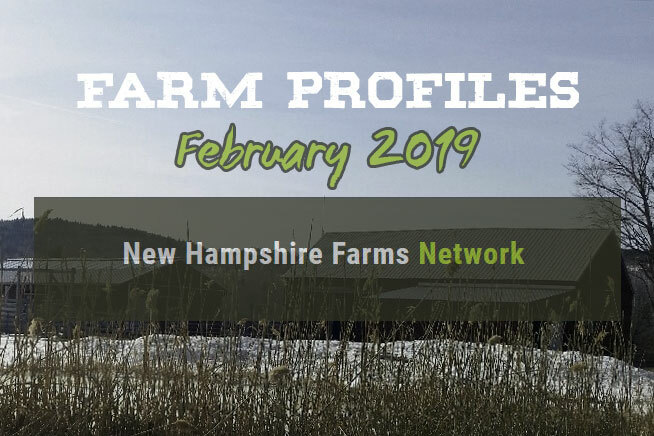 With a vast view of Franconia Ridge and Cannon Mountain across the widespread field, Ski Hearth Farm is picturesque and “sells itself”, according to farm manager David White. 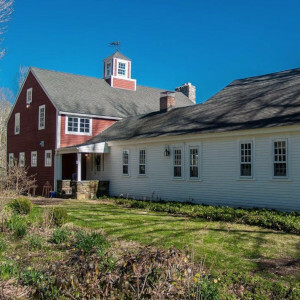 The historic farm house- one of the oldest structures found in the area- is a reminder of the long history of the farm property and its previous owners. Beginning with Selden Hannah’s famous potato farm in the 1940’s, to Olympic Skier Bode Miller, to present-day owner Davis Mangold, Ski Hearth has been an important resource in the agricultural and agri-tourism community of the North Country. 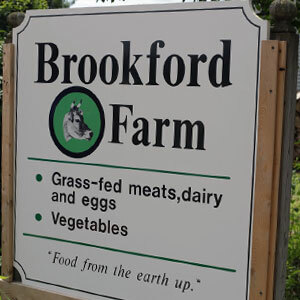 Bartlett Farm Dairy in Concord is a family farm, through and through. Scott and Craig’s great-grandfather bought the land in 1924 and built a second story on on the house to accommodate his seven children. Today, Scott and his father, Alan, manage the farming, while brother Craig focuses on marketing their milk to local outlets. Scott always knew he would continue the family legacy, leaving only for a brief time to earn a degree in animal science before returning to the farm. The Bartletts were able to begin selling and marketing their own milk in 2011 when Craig rejoined the family business. With the help of a co-worker and some pigs with appetites, a garden was rooted out and cleared into three acres of fertile land. 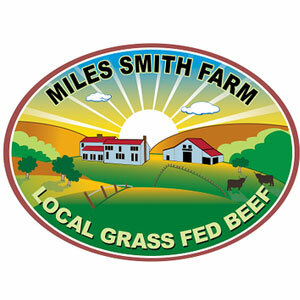 Tom Mitchell, a Milford (NH) High School biology teacher, began the creation of Ledge Top Farm. 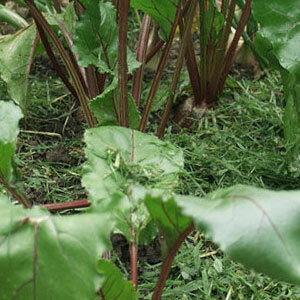 Tom recalls, “When I started planting rhubarb back in 1975, I hit ledge within six inches. It seemed all digging projects hit ledge, so being at the top of a hill, the name came together.” Tucked away in the woods of Wilton, New Hampshire, Tom found his unexpected calling. 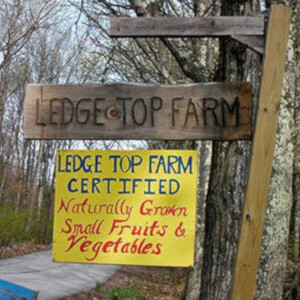 Ledge Top Farm operates under an organic version of the Golden Rule because Tom “wouldn’t want to eat food that has chemicals,” and, therefore, refuses to sell such crops to his community. “Health, Heritage, Harmony” – words written boldly on the sign for Spring Hill Farm, an 85 acre farm in the small town of Sanbornton, New Hampshire…When asked to elaborate, Eric said, “For ‘health,’ the Hippocrates quote, ‘let food be thy medicine’ sums it up.” For “heritage,” he’s talking about his passion for preserving the land, the animal breeds he’s raising, and their 1800s house. As for “harmony,” a visitor can see such concord in the use of livestock, compost, and minerals to restore the soil in order to grow the most nutritious and robust fruits and vegetables. Riley’s Farm is a “no judgment zone,” as the goal is to create and build positive relationships with horses and riders of all levels. Linsay personifies that philosophy as she offers a quick hello to each of her horses who eagerly watch and nicker to her upon her approach, their actions demonstrating the respect and trust each has for the other. 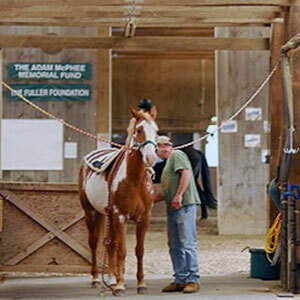 So whether you are contemplating sitting in a saddle for the first time ever or want to take the next step to advance your horsemanship skills, be sure to check out what Riley’s Farm can offer you! 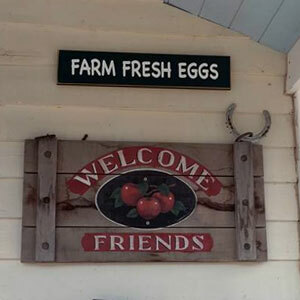 Tina and her husband, Erick, established the farm about 30 years ago, with the name originating from a dog kennel that Erick’s father once owned. 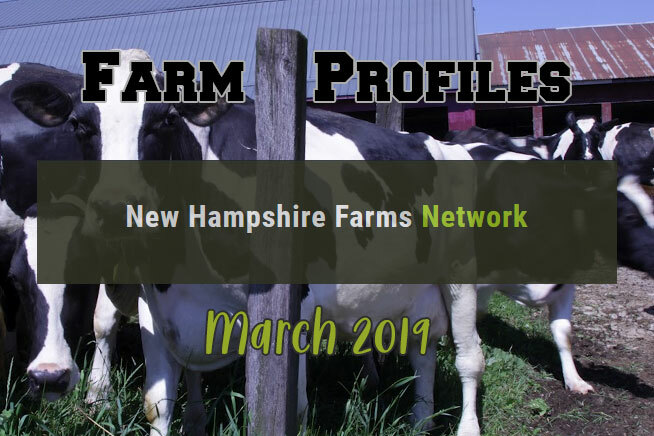 Little did they know that the purchase of a herd of Angus cattle from the University of New Hampshire (UNH) would provide the foundation for Pinewoods Yankee Farm. 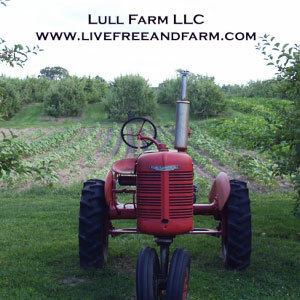 Fresh, natural, and local are only a few of many words to describe the quality of the products available at Back 40 Acre Farm. Bill Ahie is the “chief cook and bottle washer” and proud of it. His attention to detail is paramount, and he sees to the daily order of tasks that call on him from all around the farm. He is on the go 24/7 with many projects on the “to do” list. This former Army Veteran from the Vietnam era and canine police officer for many years continues to be on a mission. The farm is his mission, and nothing is overlooked. 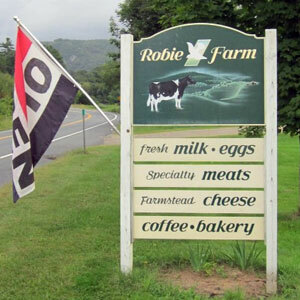 One of the staples at Robie Farm is their raw milk. This milk has three very important purposes. It is used for their cheeses, which are made on site, and it is also sold and used to feed calves. 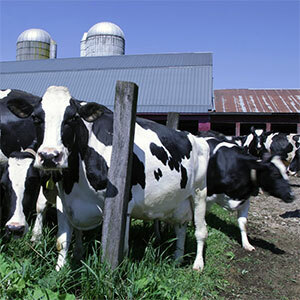 As of 2016, they have about 20 dairy cows that are milked daily. Lee milks the cows two days a week, while Mark milks them the rest of the week. Each of their cows has a name, and they keep track of lineage by naming each calf using the first letter of the mother’s name. 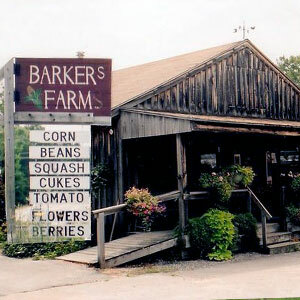 Approximately 35 – 40 of the 80 acres that belong to Barker’s Farm is under production with a variety of produce and flowers. 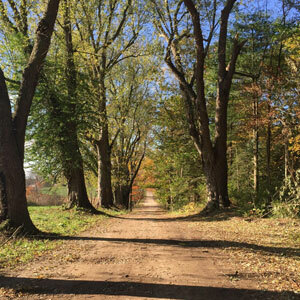 The fields are surrounded by wooded areas that also connect to conservation land and town parks such as Stratham Hill Park. Edie’s passion for the area and cultivation of healthy produce is evident in her tone as she describes how the land is cared for. which is what the plants thrive on. 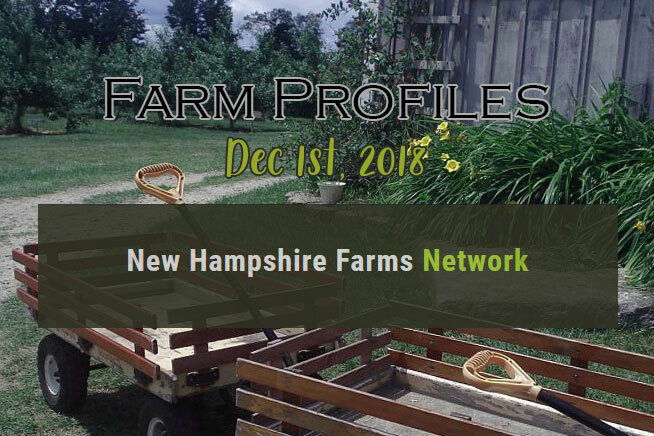 Greenhill Collective Farm, located in Sutton, New Hampshire, is a small, off the grid, certified organic farm owned and operated by Ben Dobrowski and his family. The “Collective” part of the farm name is related to the vision of eventually renting out small portions of the farm to people that want to farm but don’t have the land to. They specialize in the production of organic vegetables sold to the community at local farmers markets and through their CSA (Community Supported Agriculture) program. For nearly six decades, the Stuart Farm, with its rolling hills and dairy cows, has been a landmark in Stratham, New Hampshire. 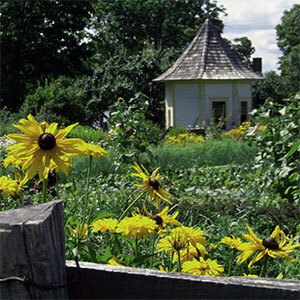 Located near the Great Bay Estuary, Stuart Farm is one of the first farms to be conserved by the state of New Hampshire. Diversification is a key word in the vocabulary of the Wilson family, and diversify they have! 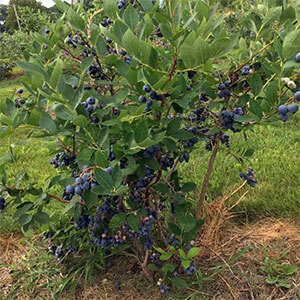 Pick-your-own blueberries, apples, pumpkins, and occasionally peaches are available in season. Sweet breads, many featuring the farm’s own fruit, are baked right on the farm in a commercial kitchen. No matter the season, homemade apple cider donuts are always a favorite with the crowds. 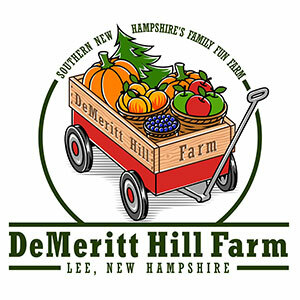 Demeritt Hill Farm hosts multiple events throughout the year including a haunted Halloween hayride. Lull Farm isn’t exactly a rural, Sunday afternoon drive destination. Seven days a week, visitors pass a shopping center and several fields before parking in the car-dotted lot off of Route 130 in Hollis. They emerge beneath some massive willow trees before entering a bustling, bursting-at-the-seams food market. Before even getting in the door, shoppers weave between boxes of 70 different heirloom tomato varieties. Inside, rows of produce lead to the bakery, cheese counter, cut flower display and shelves of local value-added products – all the fruits of “Farmer Dave” Orde’s labor. Catarina and Luke Mahoney met at a farm near St. Petersburg, Russia in the fall of 1999 and lived there for five years. This 240-acre diversified, biodynamic farm was set up to provide a healthy living and working environment for handicapped individuals. 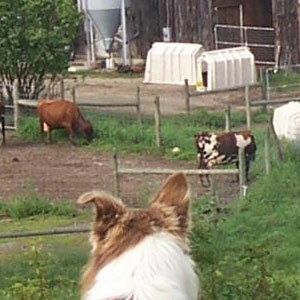 At the farm they were exposed to many different aspects of agriculture and sustainable living. As with many modern farmers, Tim and Amy Bassett would like to be working their land full time and with total devotion; after all, farming is in their blood. Tim is a fourth generation farmer, growing up on their family dairy farm, now run by his brother in Woodstock, Vermont. Amy’s grandfather, was a dairy farmer as well in Landaff, New Hampshire. But time and conditions impose the same challenges on farmers as they do on all families, and children of the earth cannot always carry on the traditions which they have been raised in and love as in the old days. In the mid-1800s Miles Smith, a mason and farmer, cleared his land, built a house, raised a family, erected time-honored stone walls and pastured pigs, goats and dairy cattle. Today as an enduring reminder of that redoubtable heritage Miles Smith is buried in a cemetery on the land where he toiled. And while it may seem a tad fanciful, Carole Soule and Bruce Dawson, the current owners will, from time to time, visit the old owner’s grave for reflection and inspiration. In any event, Miles Smith still seems to wield considerable influence. Lea, with soil under her fingernails and hands stained pink from strawberries, said, “Farming is a seven-day-a-week job for everyone in the family.” They start their greenhouses the last week in January, growing annuals, potted perennials, vegetables, and herbs. 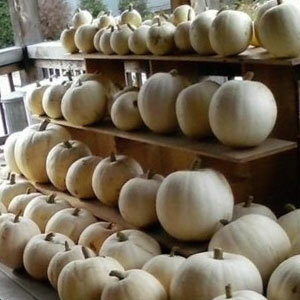 The farmstand, nursery, and ice cream stand are open from the end of April through the end of October. Address: 178 S. Mast St. 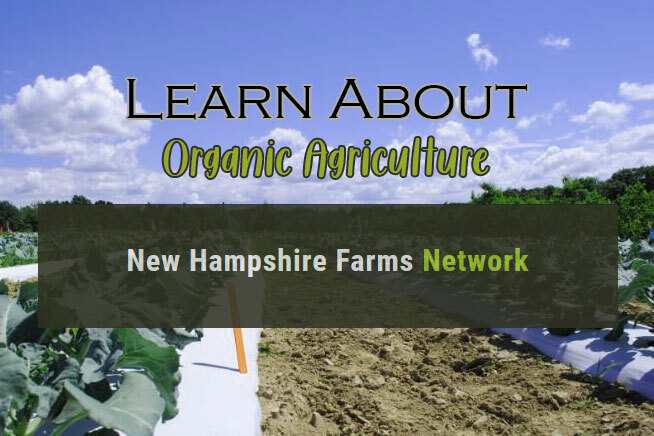 Learn the basics of organic agriculture from soil preparation, fertilization and plant maintenance. 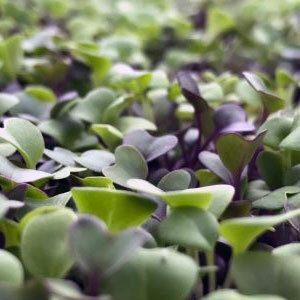 We overview the methods most common in organic farming. 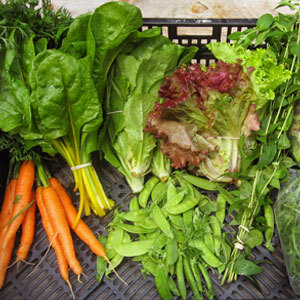 Organic agriculture is the practice of growing crops using only organic ingredients, from the fertilizer that provides nutrients to plants to the foliar spray used to prevent pests. USDA organic regulations restrict the use of conventional farming practices such as using pesticides and synthetic fertilizers. Organically-grown food is considered premium and is often sold at higher prices than non-organic food. The popularity of organically-grown vegetables, fruits and buds may continue to grow in the consumer market. 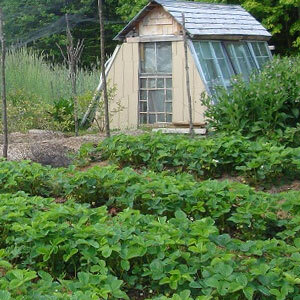 From afar, it’s easy to look at organic gardening with skepticism, as not all methods shared in books, databases and online line-up with each other, making organic agriculture seem disorganized. Soil testing, to analyze the nutrient profile of the soil used to grow plants in. Soil preparation, by mixing soil mediums, tillage of the ground, or mulching and permaculture techniques. The addition of organic matter into the soil, such as compost. The application of animal manure, for providing plants with nitrogen and other nutrients. Usage of mineral and bone powders as a source of nutrients. Mulching with leaf litter, grass clippings or hay. Crop inspection, removal of infected plants by hand or with natural alternatives to chemical pesticides/fungicides. The soil in your garden or farm can be sent to a co-op for a small fee to analyze the nutrient content. 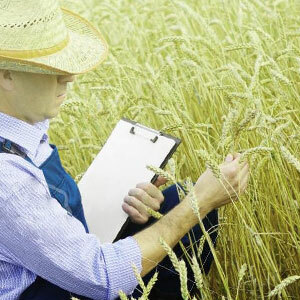 This will help you better understand the right amendments to use when crop planning. There are various co-op extensions throughout the country that provide soil tests, where you can send in a sample of your own, like the UNH Cooperative Extension. Compacted soil makes it hard for developing roots to push through and expand, which in-turn leads to less available resources for the plant to use. Optimizing the consistency of the soil plays a major role in promoting fast and healthy roots. Soil is aerated by farmers usually by tilling, with some farmers and gardeners doing more niche techniques such as permaculture and layering of soil with compost. The microbiology of soil can only survive in a small range deeper or shallower from it’s natural habitat in the soil. This means that disturbance of soil ends up destroying some natural microbial life contained. 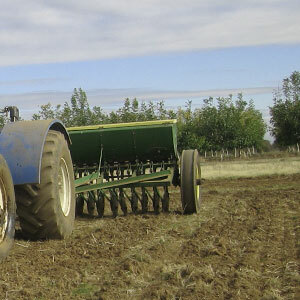 In best practice, tilling and excessive disturbance of the soil layers are to be avoided if possible, although the trade-off of compacted soil may be worse which leaves the farmer with an ultimatum. Compost is simply rotted organic matter. Adding compost to soil is good for soil structure, as the air contained helps to aerate the root zone around crops. 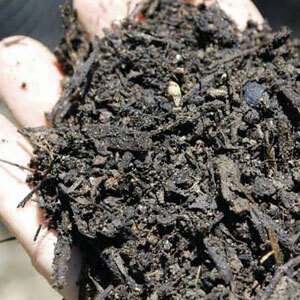 Compost is also beneficial to the microbiology that lives within soils. As the compost decomposes, natural bacteria and fungi work to process the excess nutrients, while providing additional perks to plants such as mycorrhizal fungi, a natural fungus that helps plants absorb the mineral phosphorus and other nutrients in a sort of symbiotic relationship with the plant. Organic matter such as compost, grass clipping and leaf litter can be incorporated into the soil. However consider withholding non-decomposed “woody” material such as wood chips, as a significant amount of nitrogen is needed which may be stolen from the plant. Manure is used for crops as a natural form of nitrogen and other major, minor and micro-nutrients. Chicken manure is the most commonly used animal manure in agriculture that farmers buy or produce. 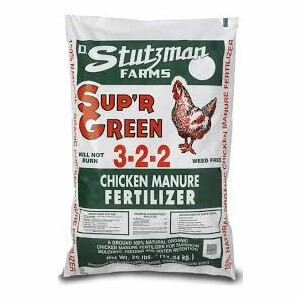 Rated around a 3-2-2 NPK, chicken manure is a suitable growth fertilizer for a wide range of crops. Other animal manures used include pig manure, goat manure, cow manure and more. Vermiculture or the use of worm castings in soil has shown to be very popular among organic gardeners and farmers. The nutrient profile of worm castings is made by what ingredients were used to feed the worms. 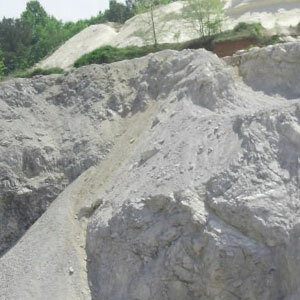 Dolomite lime is a common soil amendment used to naturally raise the pH of soil. 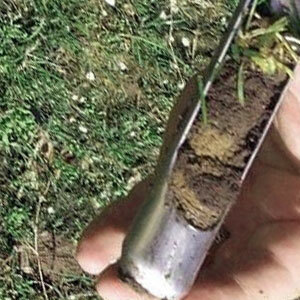 A soil test will determine whether lime application is necessary for your area. Bone meal is a high source of calcium, magnesium nitrogen, phosphorus, potassium and other vital nutrients for plant growth. Mulch is used to cover the bare topsoil around a plant’s root-zone. A mulch helps to preserve water, as the sun’s rays make the plant perspire and lose moisture. Typically only a mulch of 1-5 inches is recommended, as thicker mulches may harbor pests and take away from the available nitrogen surrounding the plant. A thin-material mulch is preferred, such as high-nitrogen grass clippings. 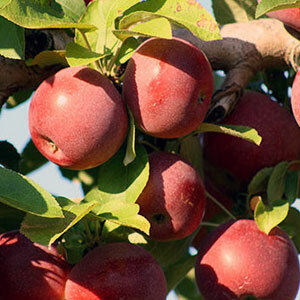 Organically-grown crops are usually more prone to pest attack and disease than crops grown using chemical pesticides. This means manual inspection of plants should be done more frequently, to try and minimize the spread of such injuries. Natural pesticide and fungicide options include a strong and spicy oils, chili pepper, peppermint, soap, and also “alive” microbial agents. This was a relatively young fruit farm when Giff Burnap and his wife, Mae, purchased it in 2005. The previous owners of the former dairy farm began to implement the “pick your own” fruit model in the late 1980s. Since acquiring the farm, the Burnaps have almost doubled its size and have also added cherries to their extensive list of produce. 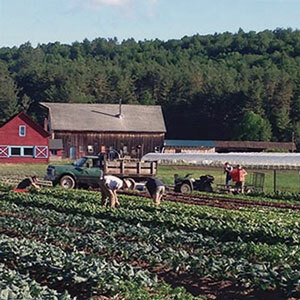 Wintergreens is a member of the North Country Farmers Co-op, which is a cooperative of farmers that grow and collectively sell to restaurants in the area. 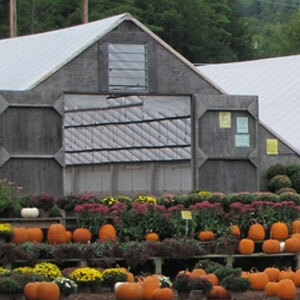 Kitty also sells her fruits and vegetables at the Farm Market Place in Colebrook, NH, and at the Root Cellar in Lancaster, NH. Address: 460 Old Drewsville Rd. Her biggest sellers are perennials and veggie starts. 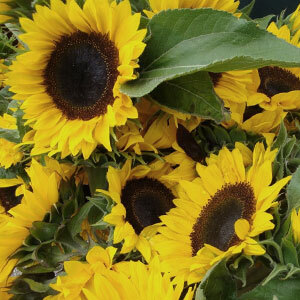 They are all non-GMO, and open-pollinated when possible, but Jenny does sell hybrids. 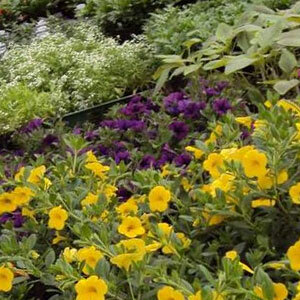 She also supplies bedding plants to the City of Keene, so her products can be seen brightening areas within town. Lancaster Floral Design & Garden Center now comprises a full-service floral shop as well as selling annuals, perennial shrubs and flowers, vegetable seedlings, and seeds, a variety of compost materials, kiln dried firewood, and an array of items from their shop that ranges from pet food and livestock feed to birdseed and fresh eggs and veggies. 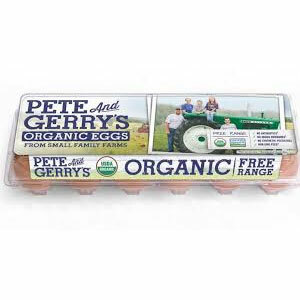 Whether they’re laying in Monroe or elsewhere, Pete and Gerry’s hens have access to large open areas outside for much of the day. They are free to peck at bugs hidden in the grass and scratch at the dirt; basically, they’re invited to act like chickens. Pete and Gerry’s technicians visit each of the partner farms weekly to ensure the company’s standards are met and help farmers work through any questions or challenges that arise. 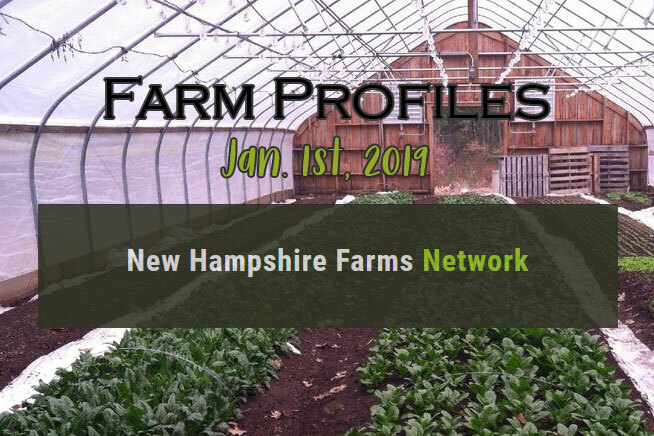 Welcome to the New Hampshire Farms Network – A place to showcase New Hampshire farms and also increase support of small farms around the country.